The 14th Annual Convention of Adventure Tour Operators Association of India (ATOAI) is set to be held in Araku Valley, Andhra Pradesh from October 25-28, 2018. Keeping the tradition of holding the convention in an adventure destination every year, ATOAI has selected the Araku Valley this year as a venue for its annual convention. ATOAI is expecting over 250 participants mostly the leading adventure tour operators, hotels, DMCs, State Tourism Boards, travel trade from Andhra Pradesh as well as the neighbouring states in South India, officials from the Ministry of Tourism, bloggers and media to interact and network during the convention days. “The idea is to bring small operators from far-flung areas of the state and connect them with the adventure tourism experts, introducing a day of adventure activities to strengthen the fraternity,” said Capt Swadesh Kumar, President, ATOAI. The convention will offer structured opportunities for the travel trade and tourism boards to network for business development. These include networking sessions and a buyer-seller expo where companies may take up table space to promote their products and services. 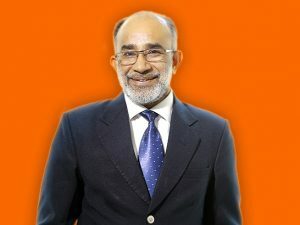 ATOAI has appointed Shekhar Babu (recipient of Tenzing Norgay National Adventure Award in year 2009 as well as Adventurer of the Year Award by ATOAI in 2017) as Co-chairman of the convention from South India. Delegates will also get an opportunity to go on pre or post-convention Fam tours hosted by Andhra Pradesh Tourism and state industry players. Air Odisha has started its services to Chhattisgarh from Andhra Pradesh, as it launched a flight to Jagdalpur from Visakhapatnam through Raipur. 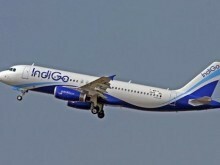 The services launched under the Udan regional connectivity scheme were inaugurated by Prime Minister Narendra Modi through video conferencing. 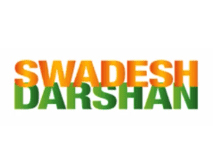 “We are happy to announce the launch of our new routes in Chhattisgarh connecting with Andhra Pradesh. 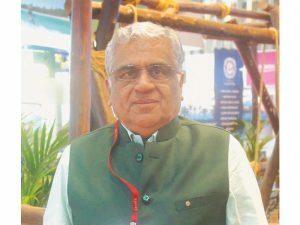 The UDAN scheme is an excellent scheme initiated under the flagship of our Honourable Prime Minister, Narendra Modi which would aid to the growth of the economy where a common man can also now travel more affordable and convenient way and we are delighted to be a part of this historic moment of nation’s aviation sector,”Shaishav Shah, Managing Director of Air Odisha’s & Executive Director of GSEC said. 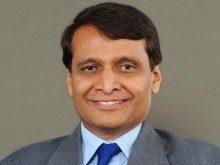 “In terms of outright benefits to the passengers and travellers, Raipur -Jagdalpur (288 km by road) travel time of 15 hours by train and 6 -7 hours by road shrinks to a mere 40 minutes that to at a cost of Rs 1,670,” the Air Odiaha said in a release. UDAN is to let the common citizens of the country fly by making the air travel affordable and widespread and Air Odisha is able to materialise this goal. With every passing month Air Odisha is adding more regions to its radar for better connectivity in the towns. In this context commencement of regional connectivity scheme in towns like Jagdalpur, Raipur, Vizag continue to demonstrate Air Odisha’s growth. 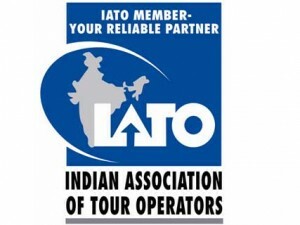 The Indian Association of Tour Operators (IATO) is set to hold its annual convention in Visakhapatnam from September 6-9, 2018. The venue of the convention is Hotel Novotel Visakhapatnam Varun Beach. 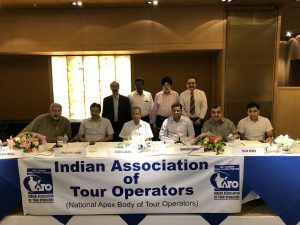 IATO announced its convention almost a year in advance and declared Andhra Pradesh as the host state for the 2018 convention, just when they had announced the 2017 convention in Odisha. The IATO team will start working on the convention post its election, which is due on April 28, 2018. India Tourism Development Corporation (ITDC) has recently signed a MoU with Hyderabad-based firm, Suraas Impex for developing a mega tourism destination project at Bhairav Lanka in Kakinada, East Godavari District of Andhra Pradesh at an estimated cost of Rs 550 crores. This is the first-of-its-kind project for the state-owned ITDC, which got preferred against several private contenders. ITDC will be the Consulting Agency as well as Implementing Agency for the DPR and the execution which shall be taken up in three stages, i.e., preparing the DPR, implementation of project costing around Rs 550 crores and implementation of second phase of the project. ITDC has been the prime mover in the progressive development, promotion and expansion of tourism in the country. The Division has completed 67 infrastructure projects for Ministry of Tourism, Ministry of Culture and various state governments. The division has also prepared more than 85 DPRs for various tourism projects in the country. The corporation provides Engineering Consultancy Services through its full-fledged Ashok Consultancy & Engineering Services Division. It undertakes development of tourism infrastructure projects from concept to commissioning.